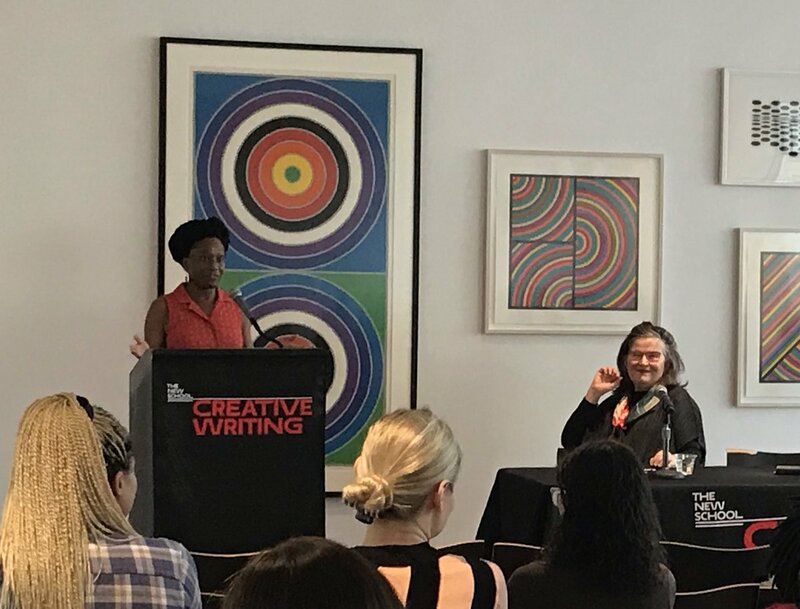 Thanks to the cooperation of the National Book Critics Circle (NBCC) and The School of Writing at The New School, as well as the tireless efforts of our students and faculty, we are able to provide interviews with each of the NBCC Awards Finalists for the publishing year 2013. Kyle Lucia Wu, on behalf of the School of Writing at The New School and the NBCC, interviewed Anthony Marra, via video conference, about his first book , A Constellation of Vital Phenomena (Hogarth), which is the winner of the first-ever John Leonard Prize, for the 2013 NBCC awards. From the Publisher: New York Times Notable Book of the Year. Washington Post Top Ten Book of the Year. In a small rural village in Chechnya, eight-year-old Havaa watches from the woods as Russian soldiers abduct her father in the middle of the night and then set fire to her home. When their lifelong neighbor Akhmed finds Havaa hiding in the forest with a strange blue suitcase, he makes a decision that will forever change their lives. He will seek refuge at the abandoned hospital where the sole remaining doctor, Sonja Rabina, treats the wounded. For Sonja, the arrival of Akhmed and Havaa is an unwelcome surprise. Weary and overburdened, she has no desire to take on additional risk and responsibility. But over the course of five extraordinary days, Sonja’s world will shift on its axis and reveal the intricate pattern of connections that weaves together the pasts of these three unlikely companions and unexpectedly decides their fate. A story of the transcendent power of love in wartime, A Constellation of Vital Phenomena is a work of sweeping breadth, profound compassion, and lasting significance. Now with Extra Libris material, including a reader’s guide and bonus content from the author. KYLE LUCIA WU: I’m here talking to Anthony Marra about A Constellation of Vital Phenomena. Marra is being awarded the first-ever John Leonard Prize for the National Book Critics Circle for the publishing year 2013. I’m in New York City at the School of Writing at The New School, and I’m talking to Marra via Google Hangouts. My first question is how you became interested in Chechnya, a place so foreign to most Americans. ANTHONY MARRA: I was a college student in St. Petersburg, and I lived down the street from a Russian military cadet academy. Every day I’d see these kids, sixteen or seventeen years old, marching up and down the street, wearing these blue uniforms and peaked caps and looking very sharp, and they would march right by this metro station down on the platform. Kids a few years older—eighteen, ninety, twenty—were there as well and they were also wearing uniforms but theirs weren’t quite as well kept. They had recently returned from Chechnya, and these veterans had sort of fallen into a bad place. It just seemed like there was this huge gap between this street, where these teenagers were marching around on this metro platform, where these veterans were sort of making a life for themselves. There was, of course; and that was Chechnya. I began reading about Chechnya and quickly became fascinated with its rich culture and history. At some point I tried to find a novel that was available in English that had been set there in the past couple of decades, and wasn’t able to find one. So I came to write the book as a reader as much as a writer. It was the kind of book that I was looking for, the kind of book that I wanted to read but wasn’t there yet. KLW: And was it difficult to write this novel based in Chechnya knowing that most of your readers might not know anything about the war or even the place that you were writing about? AM: It was another layer of complexity, maybe. It was not only trying to build these characters and their story, but also really the entire world—creating the historical and geo-political context as well as creating this story. It felt like not only writing the drama but also building the stage at the same time. But I feel like I write fiction because it’s how I understand the world. It’s how I get out and feel like I’m engaging with the material I’m interested in, and so it was educational for me. By and large, it was a pleasure. KLW: Originally, your novel began as a short story called “Chechnya.” At what point did you realize you had more to say about that story and those characters and you decided to turn it into a larger work? AM: It was fairly soon after. The story is about twenty or twenty-five pages. I quickly realized that the characters were living beyond it, and that their stories took place outside of this page limit. I began working on it maybe a few months after, and now I’m kind of embarrassed by the story—I feel like it’s very flat and I didn’t know the characters then. We went on to spend years together, and when I wrote the story it was weeks. It was a few months after that I really got into the novel. KLW: For your book, which centers so much on this religious and political fueled war, the characters are not particularly religious or political. They are just ordinary people trying to survive. There is so much art present in the story, from Akhmed drawing portraits of people for the families that are mourning and also posting them up around the town to Natasha drawing the mural, and Khassan spending his life writing this book, there is the sense that art is very important for them even in their war-torn lives or especially because of that. Were you consciously trying to instill this theme of art throughout your book? AM: I think that there’s a natural inclination to want to create things when the world around you is crumbling. When I visited Chechnya, I met a man there who had spent the war building a life-size replica of his destroyed ancestral village in this lot behind his house. While his neighbors were going to the mountains to fight with the Russians, he was going to the mountains to quarry stone by hand and build these monuments—these stone watchtowers and this entire lost world—and it was a way for him to survive. I think that that impulse to make something, even if what you’re making can in no way recompense what you’ve lost, was an idea that I wanted to explore. By searching and trying to recreate and rescue, these characters rarely are able to recreate what’s lost or rescue what’s gone, but in the act of attempting to, they’re often able to put together something. KLW: There’s this really interesting sort of hyper-omniscient narrator who sometimes jumps tens of years into the future and tells us what’s going to happen to the characters, even the most minor ones. We can meet a soldier by the side of the road and only be with him for a few pages, but we’ll know he dies in twenty years. Could you tell me about how you developed that style? AM: It was sort of by accident, really. I retype everything. That’s sort of my revision method—just retyping and retyping. I print out a draft as soon as I’m finished and put it down in front of the keyboard and retype the whole thing. This process of retyping—I feel like it’s the way some painters will paint the same landscape again and again—I think Dave Hockney said you start seeing it through your memory more than through your eyes. The fourth or fifth time through, I had seen this opening scene so many times and I had written it four or five times, and my mind just wandered into the point of view of one of these soldiers and there was this big bang in the book. All of a sudden I realized I could go anywhere. It could be told by a narrator who could give the future of any minor character. It would be a book in which there were no minor characters, where every character got their sentence in the spotlight. It became a much more inclusive and larger book at that point, trying to wrap its arms around all of these characters and figures. That was a very exciting day when I first realized it could be told through that sort of hyper-omniscience. KLW: It’s a great part of the book. I think all of the characters are really rich and alive, and they all have such distinct personalities and such complex backgrounds. I’m really interested in the character of Havaa, who is the eight-year-old girl Akhmed is trying to rescue. She’s this really clever, witty girl, a little disobedient at times. She’s really lovable, but I think that character must have been really hard to write—children can be so hard. It’s hard to not make them sound too precocious or indulgent. I’m interested in how you kept Havaa away from those pitfalls or those stereotypes. Is she based on someone you know? AM: No, I mean children are the worst. I can’t stand them (laughing). Not in fiction, not in life. No, I have some younger cousins. In earlier drafts, I think she was a bit more precocious. She was one of the tougher characters to write. She’s the gravitational center of the book, everything is orbiting around her, but she only gets one chapter from her point of view, which was intentional just because I had a lot of trouble trying to write in her voice. Writing from the point of view of an eight-year-old needs to be realistic for that age, but you’re writing for adults, and the ideas need to be complex enough and the language interesting enough to stand next to any other chapter in the book. I intentionally kept her slightly at arm’s length in terms of how many chapters she narrates. Anthony Marra is the New York Times bestselling author of a National Book Awards Longlist selection, A Constellation of Vital Phenomena. He is the winner of a Whiting Award, a Pushcart Prize, The Atlantic's Student Writing Contest, and the Narrative Prize and his work was anthologized in Best American Nonrequired Reading 2012. A graduate of the Iowa Writers' Workshop and a former Stegner Fellow, he now teaches at Stanford University. He has lived and studied in Eastern Europe, and resides in Oakland, CA. Kyle Lucia Wu is a fiction student in the New School MFA program. She has a BA from New York University in Psychology and Creative Writing, and currently lives on the Upper West Side. She is working on a collection of short stories.